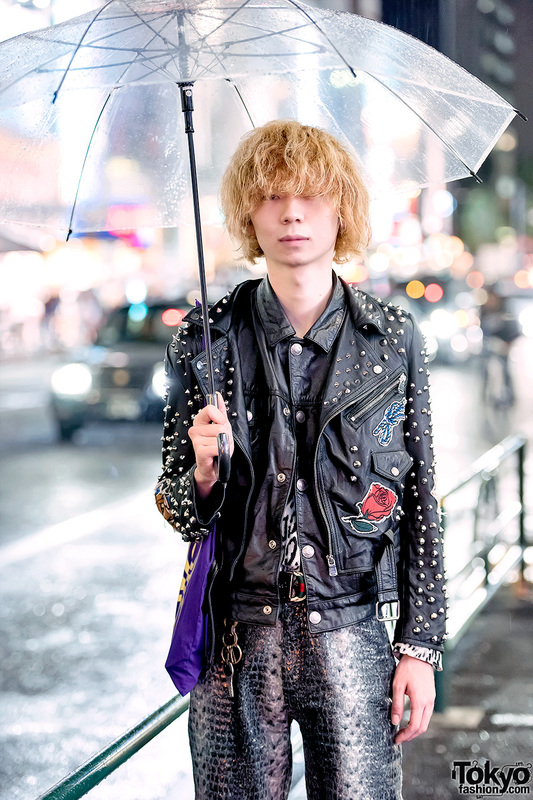 Kazuya is an 18-year-old Japanese student who we street snapped in Harajuku on a rainy night during a typhoon. 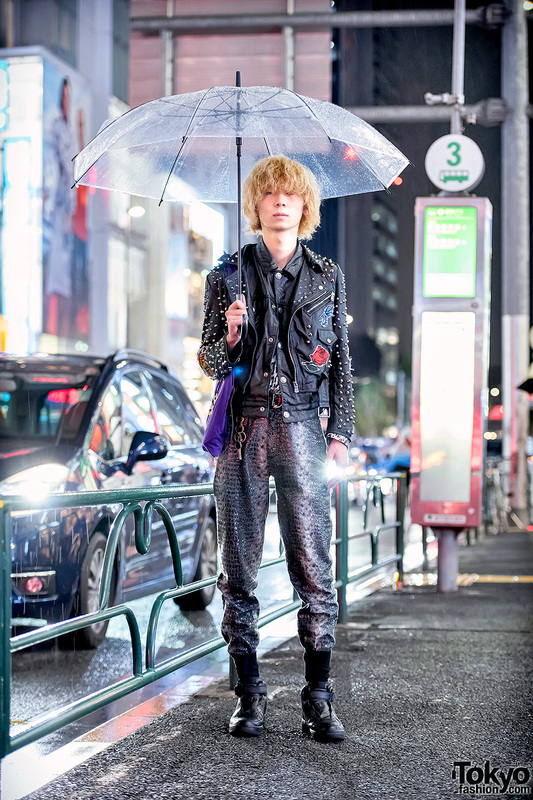 Kazuya is wearing a studded leather jacket from Zara Women over a vintage leather shirt over a resale t-shirt, snakeskin print pants, and Nike Air Force One sneakers. His tote bag is from Opening Ceremony and his belt is by Gucci. 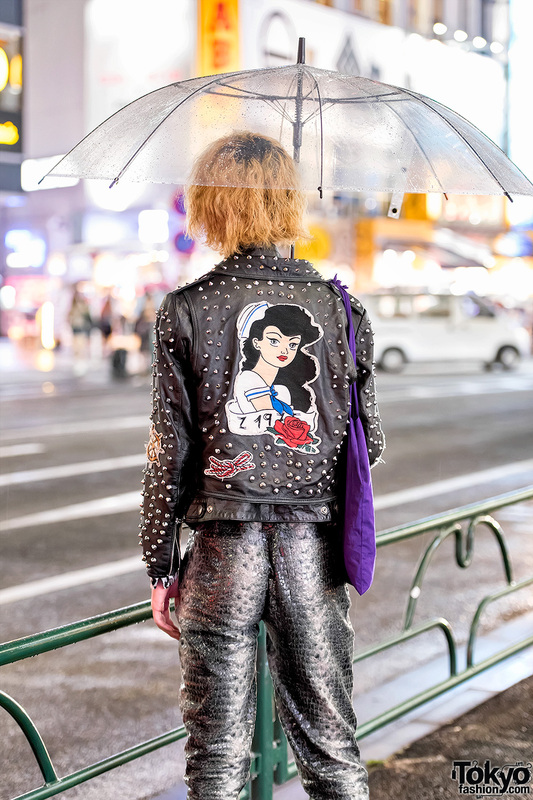 Kazuya’s favorite place to buy vintage fashion is Kinji Harajuku. Follow him on Instagram for more pictures.